We have over 20 years of experience providing fitness solutions tailored to multi-family housing. 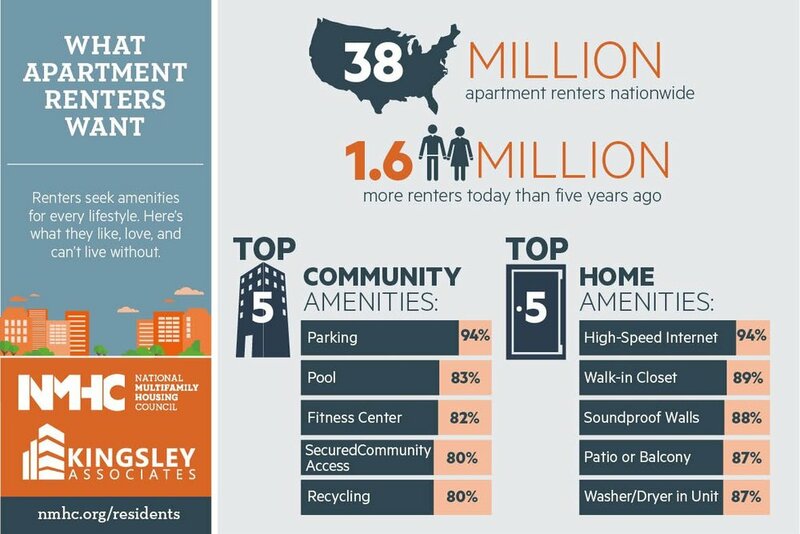 According to the National Apartment Association the right amenities can curb vacancy. We track the latest trends(not fads), assess your market and competition and consider your budget when recommending a solution. Let's work together to make sure that you are winning new residents and retaining the ones you've already won. What goals are you trying to meet with this project? Once you've completed the survey we need pictures and the dimensions of your space. Please gather your pictures and measurements, then click here to begin uploading. If you are unable to upload pictures and dimensions then we'll come by your facility and get them. They increased the value of their fitness amenity by addressing functional fitness and providing a safe spot for HIIT(High-Intensity-Interval-Training, the ACSM #1 fitness trend of 2018). We can help you to do the same. To stay up to date with the latest articles on fitness amenities by following us on LinkedIn or Facebook.